… and my confidence for this project is also increasing again. Where the boundaries of Freiamt and Gutach meet Freiamt’s wind turbine number 6 is being built (power 3 Megawatt). Already in 2012 the town of Freiamt fed 10 millions of kilowatt hours more of power from renewable sources into the power grid than its citizens and companies used. 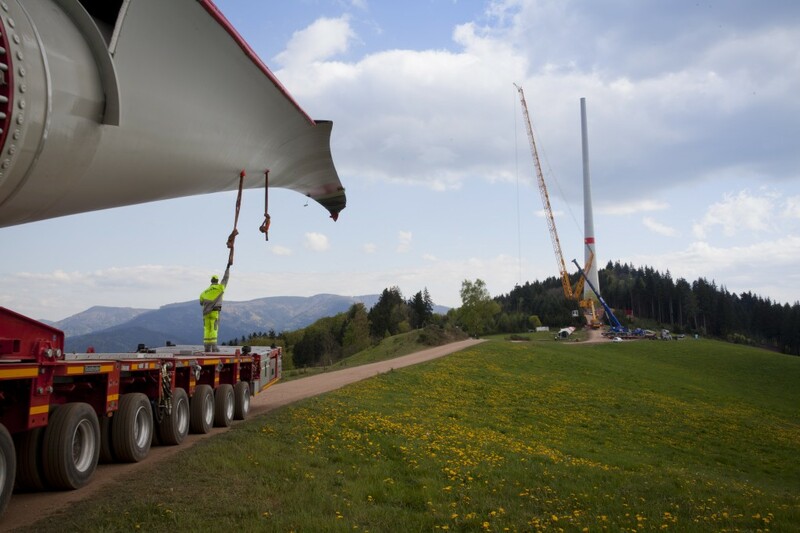 It was impressive to watch as the almost 50 metres long and 16 tons heavy rotor blade was transported up the hill from Elzach past villages and forests to the construction site. Since the foundation of the association for the promotion of wind energy in Freiamt in 1997 there has been a lot of progress. Freiamt has just about reached its development goal. Besides the soon six wind turbines and more than 300 solar power systems the people from Freiamt also use solar heat, biogas, geothermal energy and hydropower. The essential factor for success besides the suitable geographic location and the many hours of sunshine are first of all the people of Freiamt, who promoted and financed the development. The people in Freiamt used their chance at the right point in time. With the new version of the Renewable Energy Law it will become more difficult to copy this good example in other towns. First of all people are needed with a hands-on mentality, like the people from Freiamt who just said: „We can do this ourselves!“ and who continue after each setback. For the place where the new wind turbine is being built now the plans had already been declined by the relevant authorities in 2004. Only after the change in government in Stuttgart the location recieved the approval of the authorities and with it a new chance. I am also hoping for a new chance now. After a mixed start of my project with a knee injury and different delays I’m now hoping to get a twike. 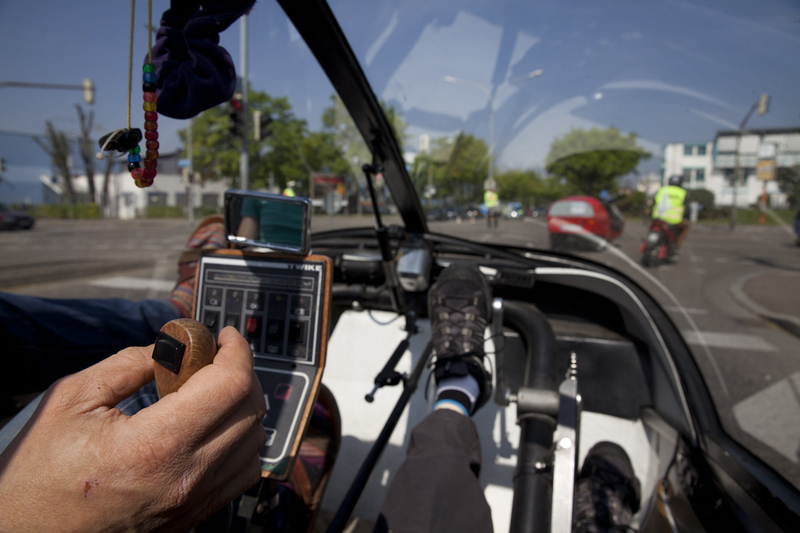 These amazing small electric vehicles have always fascinated me, not just since I got to ride in a twike with Johannes Büttner during the „whisper rally“ (a kind of motorcade with electric vehicles as a rally for renewable energy in transportation) on April 12th in Freiburg. So wish my luck that I will get the chance to borrow a twike to continue my journey. Otherwise I will take my bicycle on the train for the longer distances to give my knee a break. A twike would be a great chance to try out electric mobility myself because the energy transition does not only concern people who like cycling, it concerns everybody.